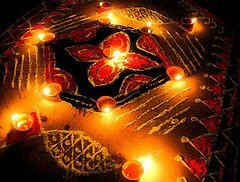 Diwali or Deepawali is celebrated for the victory of the Good over Evil. This festival is not only celebrated in India but also in countries like Nepal, Singapore and Sri Lanka. It is also celebrated in countries like Trinidad and Tobago on a grand scale. This occasion also marks the beginning of Hindu New Year. The festival is also known as Festival of Lights or Festival of Sweets. The excitement among people to celebrate this festival is always high. Every one of you might be in the process of planning your Diwali Celebrations 2012. Here we help you with some ideas which can make you plan a good celebrations with your family this Diwali. Since the Diwali falls on Tuesday 12th of November, if you could take a holiday on Monday it would be a long weekend for you. You could enjoy a good vacation with your loved ones at popular weekend gateways. If you couldn’t get a long weekend, you have many more options that can make your Diwali vacation a good one. Check out all the options mentioned below which might help you to get some good ideas to spent your Diwali. · Watch a good Bollywood movie in a cinema theater with your family members. · Invite your relatives and play a game of Antakshari in your house. 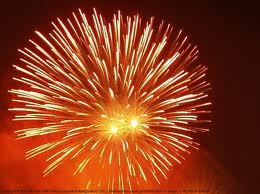 · Get some eco-friendly fireworks and blast the same with all. Try and get different varieties of crackers and amuse your little ones. · Light Diyas in your hallway and decorate your house with different illuminated items. · Invite friends and play a game of cards and earn some money. Children can play board games with their friends and cousins. · Help your spouse to make some new sweets and distribute the same to neighbors, friends and relatives. · Invite relatives and friends and enjoy a good family dinner at the best hotel in your town. Now start planning your Diwali Celebrations and enjoy a prosperous Diwali.